Middle East Perspectives by Rick Francona: President Obama in Afghanistan - why are we there again? President Obama in Afghanistan - why are we there again? President Barack Obama made a secret six-hour visit to Afghanistan last weekend to lecture Afghan President Hamid Karzai and visit American troops. Both reasons for the trip were absolutely necessary, however, the actual conduct of the trip was poorly handled. Afghanistan is one of, if not the, most corrupt countries on the planet. It has probably always been that way, but now there are 100,000 American troops present in the country ostensibly helping Karzai establish a representative government by defeating the Taliban. 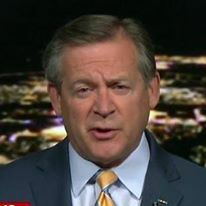 Much American treasure is being expended to develop infrastructure as well as funding combat operations, treasure that we can ill afford given the economic situation at home. It is essential that the money be used effectively and wisely, as opposed to lining the pockets of a few dozen warlords and corrupt government officials. President Obama was right to stress to his counterpart that American patience has about run out over the corruption in the country. Whether Karzai will take the message to heart, or whether he can do anything about it even if he does get the message, is another issue. In any case, the Afghans are on notice that U.S. largesse is not endless. 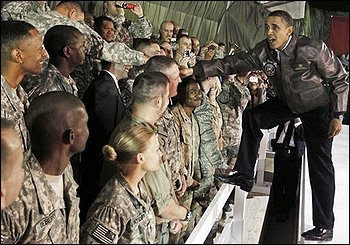 While in Afghanistan, the commander in chief met with American troops - certainly the duty of any president, and it appears his visit was well received. The troubling aspects of the visit were the absolute secrecy and the fact that the entire visit was carried out during the hours of darkness. It is unseemly for the "leader of the free world" to move about in secrecy and darkness like a coward. The President of the United States should be seen exhibiting the same courage as his troops. Of course, the Secret Service calls the shots on security, but at some point, the President needs to stand up and take charge of his image. Scurrying about in the darkness is not the image we need of the commander in chief. That said, my biggest issue with the President's visit is his insistence that American troops are in Afghanistan fighting al-Qa'idah. Obama has perpetuated this myth since he made the decision to mount a counterinsurgency in Afghanistan to fight the Taliban rather than focusing on his successful counter terrorism campaign against al-Qa'idah - the real enemy - in Pakistan, Yemen and Somalia. He gets my criticism for the former and my praise for the latter. His decision to increase the drone-launched missile strikes was exactly the right thing to do. On Saturday, he said, "We are going to disrupt and dismantle, defeat and destroy al-Qaida and its extremist allies." All well and good, but there are little if any al-Qa'idah remaining in Afghanistan. If the mission is to nation build, starting with the defeat of the Taliban, say so. Continuing to insist that America is confronting al-Qa'idah in Afghanistan is incredulous.